Dr. Sawin is board certified in Neurosurgery by the American Board of Neurological Surgery, and is Fellowship-trained in complex spinal surgery. He received his medical training from the University of Iowa College of Medicine where he was elected to the Alpha Omega Alpha Honor Medical Society. He completed his training in Neurological Surgery at the University of Iowa Hospitals and Clinics in 1997. Subsequently, he was selected to serve as a Fellow at the Barrow Neurological Institute in Phoenix, Arizona, where he received subspecialty certification in complex spinal reconstruction. 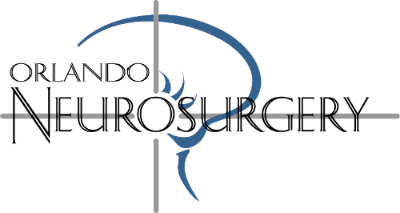 Dr. Sawin is the only fellowship-trained spinal neurosurgeon in Central Florida. His areas of special interest include complex spinal reconstruction, brain and spinal cord tumors, craniovertebral junction abnormalities, and minimally-invasive spinal surgery. Dr. Sawin has published over 50 articles in peer-reviewed journals and neurosurgical textbooks. He regularly serves as teaching faculty for national and international training courses, instructing practicing neurosurgeons in state-of-the-art spinal surgery techniques. Dr. Sawin has received several awards, including the AANS/CNS Mayfield Award and the Eugene I. Nordby Award, recognizing outstanding research in the field of spinal surgery. He is a member of the American Association of Neurological Surgeons, the Congress of Neurological Surgeons, and the North American Spine Society.